I am so impressed with your Explorer Series for our middle age kids. I have not seen anything like it in our brotherhood, thus far! I have a college teaching degree, a Master’s degree in Instructional Leadership, and currently teach a Wednesday night girls’ class for grades 4-9 in Tennessee. They have really enjoyed each of the lessons! Thank you for writing this material specifically for this age group. We can’t lose this age group, and I feel like many are slipping. Are there plans to write any more in this Explorer Series? 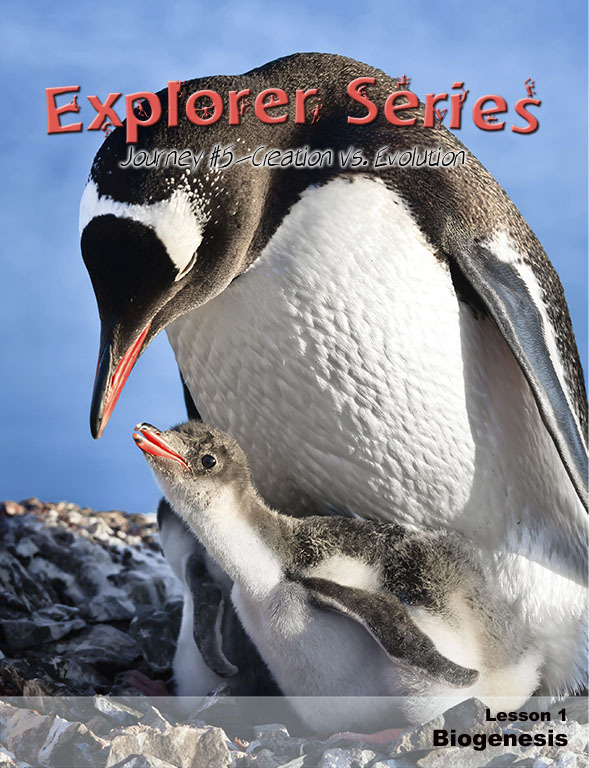 The answer is, “yes!” In fact, we are pleased to announce the release of Explorer Series #5: “Creation vs. Evolution.” Beginning with lesson one, eager children can explore essential facts that will ground them in concepts oftentimes overlooked in regular Bible class settings. They will learn about the Law of Biogenesis which refutes evolution. They will examine the evolutionary hoaxes and dating methods that have been used to simulate support for evolution. They will be exposed to the evidence that dinosaurs and humans lived on the Earth at the same time. They will consider the Bible view of alleged “global warming” and see the flaws of atheism. They will observe the truth that design demands a Designer. Each 8-page lesson is presented in the same format as Discovery, our wildly popular magazine on Scripture and science for children. Every issue is printed in full color on enameled paper in an 8½ x 11-inch format, and includes professional artwork and illustrations, as well as activities such as puzzles, word-finds, fill-in-the-blanks, true/false questions, and mazes—all of which are designed to reinforce the teaching found within each lesson. The series is designed so Bible school teachers have the flexibility to send individual lessons home with each child, or compile all 13 lessons into a notebook that can be used in class and then given to the child for future reference at the end of the quarter. Sets containing all 13 lessons are shrink-wrapped for the teacher’s convenience. We strongly recommend this new series for use in Christian schools, VBS classes, home-schooling, and summer camps. In keeping with our mandate to keep all of our materials as affordable as possible, cost for the entire series of 13 lessons is only $10/set. Why not order a set today for each youngster in your third-through-sixth-grade Bible class program, vacation Bible school, or summer camp enrollment? Call us toll free at (800) 234-8558 for credit card orders or orders to be charged to churches.